Liposuction or suction-assisted lipoplasty (SAL) currently is the most commonly performed cosmetic surgery in the United States, possibly the most common in the world. The most common site for this surgery is probably the thigh, with the knee somewhat less common but still frequent. Some consider this sort of cosmetic surgery emblematic of society's ills, of its vanity, self-indulgence, and obsession with appearance. This sociologic and ethical subject is beyond the scope of the author's mission. Suffice it to say that liposuction is very popular because of its tangible, immediate results; however, viewing this surgical procedure as simply glorified cosmetology without risk, as something that can be performed by anyone with a suction machine and a willing patient, would be a dangerous mistake. For information, including news and CME activities, on aesthetic procedures, see Medscape’s Aesthetic Medicine Resource Center. For detailed descriptions of various liposuction techniques, see the Body Contouring section of the Medscape Reference Plastic Surgery journal. Instill a hypotonic saline solution into areas of fat (theoretically to "rupture" the adipocytes). Insert blunt-tipped, hollow metal cannulas (of 5-, 8-, and 10-mm internal diameters with a lateral side opening) into these fatty deposits. Attach the cannulas via hose or tube to a high-power suction machine. Move these cannulas in and out of the fat in a fan-shaped pattern. This process aspirated the fat and allowed the operator to sculpt the fatty areas into a more pleasing shape. Almost immediately upon the release of Illouz's studies and the overwhelming interest they generated, surgeons worldwide and medical historians recalled earlier descriptions of concepts of surgical fat extraction and sculpting, dating back to the work of Dujarier in France during the 1920s. Unfortunately, his work resulted in disaster. More contemporary examples in the literature included the work of Josef Schrudde in Cologne, Germany who described fat curettage and suction of the hips, thighs, knees, and ankles in the early 1960s and presented his work at a meeting in 1972. Also in the early 1970s, Kesselring of Switzerland and Fischer of Italy published similar suction fat curettage reports. Modern plastic surgery history, while taking into account the various early methods of shaping, sculpting, and removing fat, considers Illouz the father of modern liposuction. What Courtiss in 1984 deemed controversial, citing that "...some authors tout its advantages; [while] others warn of potential dangers..." is now the most common aesthetic surgical procedure performed in the United States. Board certified plastic surgeons performed over 478,000 liposuction procedures in 2004. Since many more nonplastic surgeons also now perform liposuction, the likely total number becomes even more astounding. Yet to reconfirm the old adage that the more things change, the more they stay the same, a 2000 article and survey cites an unacceptably high mortality rate of 1 in 5000 for liposuction surgery. Prior to liposuction, surgically shaping the thigh amounted to a surgical procedure in which a large lateral elliptical wedge of skin and fat was removed from the upper outer thigh (saddlebag region) and the tissues brought together to improve the contour somewhat at the cost of a rather unpleasant scar. Other shaping procedures involved similar sorts of wide excisions from the upper inner aspect of the thigh. Shaping the knee was not realistically within the realm of possibility; therefore, liposuction in the thigh and knee areas created the opportunity to perform true sculpting of flesh in an effective and aesthetically pleasing fashion. In the 18 years since Illouz's presentation, as liposuction has become a mainstay of the plastic surgeon's armamentarium, the technique has evolved considerably. When first described, the technique by its very nature had certain limitations. For example, candidates for liposuction were restricted to generally younger individuals with good skin elasticity to avoid postoperative laxity. 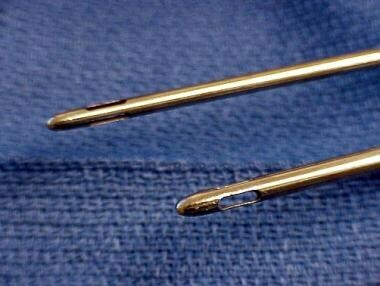 The volume that could be extracted was constrained by the considerable blood loss, and the large diameter of the cannulas restricted use of the technique in certain anatomic areas. The issue of blood loss cannot be minimized, and the limitations it placed on liposuction led to an evolution of subcutaneous fluid instillation. It began with the movement from the dry technique (where no fluid was injected into the fatty tissues and blood loss was significant) to the wet technique, in which an adrenalin solution is injected into the tissues to be liposuctioned. This allowed surgeons to remove greater fat volumes with reduced (though still not negligible) blood loss. Subsequently, larger and larger volumes of dilute lidocaine and adrenalin were injected, with improved results. This culminated in Jeffrey Klein's description of the tumescent technique (his term), in which dilute buffered lidocaine and adrenalin are injected into the tissues to be suctioned to the point of turgidity. The composition of the fluid delivers a total dose of lidocaine that far exceeds the recommended dose (35 mg/kg vs 4-6 mg/kg). Liposuction, thigh and knee. Infusing tumescent fluid. Advances in liposuction techniques with the development of wetting solutions has led to some confusion and resultant disasters, as discussed by Fodor, in part because of a lack of consistent definitions and understanding of physiologic effects of large-volume instillation of fluids and local anesthetic drugs. Thus, several definitions must be clarified below. Dry technique: Currently, liposuction without instillation of any fluid in the area being treated is rarely, if ever, used. Wet technique: This technique is still being used. It involves instillation of isotonic dilute epinephrine solution (with or without lidocaine) in volumes of 200-300 mL per area being liposuctioned. Superwet technique: This is commonly used. It involves instillation of isotonic (usually Ringer lactate-based), extremely dilute lidocaine (0.04-0.05%) and epinephrine (1:1,000,000-1:2,000,000) solution in volumes of 1-1.5 mL/mL of expected/projected fat aspirate per location. The solution is similar in composition to tumescent infusate; however, the solution is not the main source of anesthesia. Tumescent technique: This technique is commonly used. It involves instillation of solution similar or the same as superwet solution but in volumes of either 3-4 mL per expected/projected fat aspirate per location or whatever volume is needed to bring tissues to a palpably turgid, hard state. In the classic tumescent technique, instilled solution is the main source of anesthesia. Many liposurgeons, use the tumescent definition of fluid instillation with some other form of anesthesia (sedation, spinal, epidural, general). Often, surgeons use the term tumescent to refer to any significant fluid instillation at the site of liposuction without a clear understanding of the volumes being injected. Large-volume fluid and local anesthetic agent instillation and extractions commonly seen in current liposuction procedures have created significant problems in fluid and drug management with cardiopulmonary and other complications. This situation requires both liposurgeons and anesthesiologists to be present and fully cognizant of the complexities of fluid and drug management. All of the infusate fluids for liposuction, whether tumescent or superwet, contain a dose of lidocaine that should concern the uninitiated anesthesiologist. The manufacturers' recommended maximum dose of lidocaine is 7 mg/kg. Yet the tumescent and other wetting solutions may contain 35 mg/kg or even more. "When dilute lidocaine mixed with epinephrine is infiltrated into the subcutaneous tissues in the manner [utilized in standard tumescent liposuction], lidocaine is avidly bound to the tissues and only slowly released into the circulation...Toxic plasma levels are not reached." Various other physiologic processes are occurring, yet it has been demonstrated repeatedly that serum lidocaine levels remain beneath the toxic level. Additionally, peak lidocaine levels usually do not occur until about 12-14 hours after injection. This fact has been used as an indication to monitor liposuction patients for the first night following surgery. As mentioned earlier, blood loss has been reduced to a minimal level. Various studies have been performed in which most agree with the general range quoted by Pitman that estimates average blood loss after tumescent SAL at 1-10% of total aspirate volume. The size, shape, and design of cannulas have evolved. Currently, surgeons use much finer cannulas of inner diameters seldom greater than 4 mm. These usually have a design that includes multiple holes either on one side or around the entire tip (see image below). Shapes, sizes, and positions of the holes allow for faster yet more exacting shaping and sculpting of fatty tissues. Liposuction, thigh and knee. Mercedes tip design liposuction cannulas. Finally, evolution of the technique has included the introduction of ultrasonic assisted liposuction (UAL) and external ultrasonic assisted liposuction (EUAL). The latter technique remains controversial and of questionable value. In UAL, ultrasonic energy is applied to specially designed liposuction cannulas, causing cavitation of fat deposits in its direct path and surrounding its tip and leading to more bloodless, easier, and more efficient removal of fat. The technique is normally used in concert with standard SAL. UAL is performed first to break up and liquefy large areas of fat, and SAL thereafter removes liquefied fat as well as the remaining areas that require sculpting and removal. Among the developments in ultrasonic-assisted liposuction is the so-called VASER technology, which uses a low-power ultrasound that produces a more selective fat cavitation with low risk of injury or burns to surrounding tissue. Other options in liposuction include power-assisted liposuction handpieces that reduce the surgeon's work effort while increasing the movement of the cannula in and out of the tissues. Other changes that have occurred with time and greater experience and understanding of the surgery include (1) size, number, and location of incisions; (2) drainage and dressings; (3) postoperative compression; and (4) patient selection criteria. Incision size is reduced to barely several millimeters yet the number of incisions has increased, as surgeons have felt liberated to use as many small access incisions as necessary to effectively perform the surgery. While most surgeons still close these incisions, they usually can be closed only with a subcuticular suture. Many surgeons do not close the incisions at all. Some surgeons have elected to leave access incisions open postoperatively to promote drainage of tumescent fluid and blood and have reported no adverse effects on wound healing and scarring. Other surgeons have instituted the use of fine drains for several days postprocedure to evacuate fluid collections, which, theoretically, reduces postoperative soft-tissue edema and, ultimately, reduces the formation of scar tissue. Postoperative taping and dressings have become less important, although compressive garments are still considered important to obtain a good result. Initially, age was believed to be a major criterion in selection because of the assumption of poor skin elasticity, yet current practice judges patients on an individual basis, regardless of age. Surgery itself generates a surprising degree of skin contraction, allowing for further liberalization of skin elasticity criteria. Lipodystrophy describes the abnormal or excess fat deposits that are indications for liposuction surgery. It may not, strictly speaking, be the correct term to use since an abnormality of fat metabolism or biochemistry is not being described. The author is simply using it to describe an excessive and unattractive fat collection that is the result of heredity, lifestyle, and nutritional habits. While localized obesity may be a more appropriate term, custom has led to the use of lipodystrophy for the fat collections patients present with. Lipodystrophy of the thighs and/or knees occurs in the presence of either abnormal localized collections of fat of several areas of the thighs (outer thigh or saddlebag, upper inner thigh at thigh-groin junction, entire inner thigh, anterior thigh, posterior thigh) and/or knees (medial, medial anterior, lateral anterior, posterior) or excess fat of the circumferential thigh. Frequency of occurrence of this problem is probably impossible to estimate, especially since the criteria are both objective and subjective. It is not just a question of estimating the number of obese individuals in the United States, North America, or the world, nor is it a problem limited to the obese. Many people of normal weight range have isolated or localized collections of fat on the thighs and knees. As obesity rates in the United States increase, the incidence of bariatric surgery and postbariatric plastic surgery grows. Liposuction is an intimate part of these surgeries. Thus, the extent of potential patients with this problem is massive and continues to grow exponentially. Without extensively exploring the subject of fat metabolism, one can accurately state that at some time in late childhood, the total number of lipocytes (fat cells) of each individual becomes fixed. New fat cells are not made over the course of one's lifespan. Both the general distribution of these cells and their proclivity to enlarge with weight gain and reduce with loss is genetically predetermined. The pattern is uniquely individual. Interpreted in another way, each of us is born with a unique figure, body habitus, and metabolism, as unique as our fingerprints. Perfect physique and perfect distribution of fat and muscle are uncommon. Especially among women, disproportionate fat distribution of the thighs and/or knees is a common occurrence: a result of heredity, lifestyle, and hormones. "Attractive legs are characterized by a gradual tapering from strong thighs to delicate ankles. Although slight fullness at the knees is ...[normal], most women regard their knees as unattractive and wish to eliminate any bulge..." Patients presenting for possible liposuction of the thighs and/or knees usually can be separated into several general categories. Patients with extremely poor skin tone and laxity and either localized or generalized fatty deposits. These patients are more appropriate candidates for some type of skin excision lift procedure and usually have worse laxity following liposuction. Women are far more likely to present with these problems than men. Medial and lateral deposits of both small and large volumes are the most common indication for thigh liposuction. Anterior thigh excess is not usually an isolated problem; it commonly occurs in the setting of circumferential excess requiring circumferential thigh liposuction. Consider skin quality, tone, elasticity, and volume for liposuction. While some skin contraction can occur, SAL also can produce a worse case of laxity. Where skin excision thigh lifting is the appropriate procedure, liposuction cannot adequately replace it. As mentioned, there are several types of excess fullness at the knee, and the most common is medial fullness. This results from a combination of underlying anatomy and a localized area of subcutaneous fat. A fatty fullness above the patella is basically a result of the quadriceps and skin laxity and is best left untouched. Other less common collections include medial and lateral infrapatellar pockets. These are well corrected with liposuction. These factors are essentially issues of patient selection, which is particularly important in the world of aesthetic plastic surgery. In liposuction, remember that it is not a weight reduction alternative. It is most suited to sculpting localized deposits of fat that do not easily resolve with dietary control and exercise and remodeling the body contour. While large-volume, body-shaping liposuction has been discussed recently in the literature, it is beyond the scope of standard liposuction. As fat distribution is a combination of heredity and lifestyle, most people have collections of fat and resultant shapes that persist despite diet and regular exercise. As for all elective cosmetic procedures, indications for surgery are a combination of a patient's perceived need and desire for the surgery and the physician's subjective and objective evaluation. In theory, anyone is a potential candidate if they possess localized fatty deposits amenable to liposuction. Liposuction is a technique best used to sculpt and shape individual areas. When not working with localized areas, it begins to become a generalized weight reduction technique instead of serving its basic purpose. In thighs and knees, liposuction produces its most visibly outstanding results in treating prominent saddlebags, bulging upper inner thighs, and inner knees. While circumferential thigh liposuction is performed, consider in the evaluation the subsequent relationship of the newly shaped thigh with the lower leg to avoid possible disproportion. Some liposurgeons have attempted to turn the physical examination and process of patient selection into a more scientific process by performing a pinch test. In the pinch test, the area being evaluated is pinched between thumb and forefinger. The minimum measurement acceptable for liposuction is felt to be 3 cm for the outer, anterior, and posterior thigh and knee and 2 cm for the upper inner thigh. Lifting the skin distinguishes a fat bulge, particularly of the outer thigh, and skin laxity that is best treated with a thigh lift. Have the patient tense the muscles to distinguish between muscle and fat. Less useful in the thighs and knees than the abdomen, it distinguishes between external fat and muscle. This is particularly useful for the abdomen. Overlying skin should have sufficient elasticity so that it will contract. In the early days of liposuction, being older than 40 years was a contraindication for liposuction because of the assumption of poor skin elasticity. Time and experience have shown that this absolute is not reasonable, and each patient must be judged individually. Nevertheless, when examination reveals poor skin elasticity, striae, and extreme laxity preliposuction, the surgeon must reconsider unless the location is amenable to skin resection. In some locations (abdomen, upper inner thigh, arm), excess skin-removing surgeries are possible. These must be discussed thoroughly with patients, and they must be made aware of additional scarring and associated risks. Another indication is body weight at or moderately above ideal weight. Moderately above ideal weight means approximately 20-40 lb above ideal weight. While even generally overweight individuals may have localized areas of fat that are distinctly disproportionate to the surrounding areas and thus appropriate sites for liposuction, there is also the potential that the entire body needs reduction. Such a generalized body liposuction is beyond the scope of the original intent of this surgery. Recent studies have demonstrated the possibility of pushing the envelope and extending the purpose of liposuction beyond mere sculpting to large-volume liposuction to improve overall body shape and weight reduction. Previously, it has been suggested that such large-volume liposuction is associated with many complications, including fatalities; however, these recent reports claim extensive experience with large-volume liposuction in several hundred patients without significant complications and without mortality. Nevertheless, do not consider large-volume liposuction routine and do not select patients for routine liposuction who are poor candidates. Physical health: Every surgical procedure is associated with risks and potential complications. In treating a life-threatening or potentially debilitating disorder, the risk-to-benefit ratio is much clearer. In a purely cosmetic vanity surgery, even moderate risk is not acceptable. When acute or chronic diseases are present that elevate the level of risk, the prudent surgeon should not agree to perform elective surgery. This does not mean that otherwise well patients who meet the other criteria but have well-controlled chronic diseases may not be candidates for liposuction. However, it does mean to examine the equation more rigorously. In the same category are issues such as cigarette smoking, excessive alcohol intake, and use of diet control drugs. Cosmetic plastic surgeons see more than their fair share of patients with both unrealistic expectations and mental disorders. Such problems as eating disorders, other body image problems, and schizophrenia may be frank contraindications to liposuction surgery. There may be merit to the suggestions by some plastic surgeons that all potential patients be administered a rudimentary psychological examination. Lack of realistic and reasonable expectations is an absolute contraindication for this surgery. It is often just those patients who are not candidates for reasons of generalized obesity, skin laxity, and marginal health who are also those with totally unrealistic expectations. Despite being educated about the clear limits of liposuction, these prospective patients usually claim afterward that they were never told and would not have undergone the surgery had they known the limitations. This should serve as a clear warning to surgeons. These are, of course, idealized indications and criteria for qualifying patients. Each surgeon views these criteria differently and individually in making decisions as to who are good candidates; however, liposuction as a lifestyle surgery is open to much abuse. As noted above, liposuction, far from being benign, minor surgery, has a mortality rate far higher than previously assumed. Surgeons may be expected to apply stricter criteria to patient selection and magnitude of fat removal in the future, as well as the surgical facility, anesthesia, and intraoperative and postoperative care. Understanding and knowledge of anatomy of the hip, thigh, buttock, and knee regions are prerequisites to both the planning and execution of liposuction of the thighs and knees. This understanding includes both an artistic acquaintance with the normal ideal shapes and contours of these areas and 3D familiarity with the gross anatomy of these areas. Externally, viewed from behind, the female form demonstrates a concavity at the waist followed by a smooth transition to the flare at the iliac crest, over which lies a fat collection referred to as a hip roll when in excess. Between the iliac crest fullness and the prominence of the greater trochanter is the depression termed the gluteal depression. This is filled to a greater or lesser degree with the gluteal muscles and fat. Fat collection over the greater trochanter is well defined, may be quite prominent, and is referred to as a saddlebag. Posterior thigh, inferior to the buttocks, is composed of the hamstring muscles and a more diffuse layer of overlying fat. When enlarged, it is usually part of a pattern of diffuse obesity of the thigh and treated by circumferential thigh liposuction. The anterior thigh contour consists of the quadriceps muscle group and a diffuse, rather than defined and delimited, layer of fat. In all of these areas there are both a subcutaneous layer and deeper subfascial layer of fat. The medial or inner thigh takes its shape from the abductor muscles and a layer of subcutaneous fat with no real subfascial component. Skin here is also quite thin compared to the rest of the thigh. The femoral nerve and artery and saphenous vein lie in the upper anteromedial aspect of the thigh and groin. Surgeons always should know their location in comparison to the liposuction cannulas and other instruments. In the knee, much of the contours reflect the underlying anatomy including the femoral condyles, tibial plateau, and patella, and the muscles (quadriceps, gracilis, sartorius, hamstrings) attached to these. Localized subcutaneous fat overlies the medial femoral condyle and musculature, producing the prominent contour. While the major arteries and nerves lie deep to the investing fascia around the knee, the sural nerve and the greater and lesser saphenous veins are in the superficial fat layer and thus liable to injury in liposuction. Contraindications are the absence of the aforementioned indications. Moreno-Moraga J, Trelles MA, Mordon S, Unglaub F, Bravo E, Royo de La Torre J, et al. Laser-assisted lipolysis for knee remodelling: a prospective study in 30 patients. J Cosmet Laser Ther. 2012 Apr. 14(2):59-66. [Medline]. Courtiss EH. Suction lipectomy: a retrospective analysis of 100 patients. Plast Reconstr Surg. 1984 May. 73(5):780-96. [Medline]. Klein J. The tumescent technique for liposuction surgery. Am J Cosmetic Surg. 1987. 4:263. Fodor PB. Defining wetting solutions in lipoplasty. Plast Reconstr Surg. 1999 Apr. 103(5):1519-20. [Medline]. Kolker AR, Xipoleas GD. The circumferential thigh lift and vertical extension circumferential thigh lift: maximizing aesthetics and safety in lower extremity contouring. Ann Plast Surg. 2011 May. 66(5):452-6. [Medline]. Carpaneda CA. Postliposuction histologic alterations of adipose tissue. Aesthetic Plast Surg. 1996 May-Jun. 20(3):207-11. [Medline]. Klein JA. Tumescent technique for local anesthesia improves safety in large-volume liposuction. Plast Reconstr Surg. 1993 Nov. 92(6):1085-98; discussion 1099-100. [Medline]. Fischer JP, Wes AM, Serletti JM, Kovach SJ. Complications in Body Contouring Procedures: An Analysis of 1,797 Patients From the 2006-2010 ACS-NSQIP Databases. Plast Reconstr Surg. 2013 Sep 4. [Medline]. Cardenas-Camarena L, Andres Gerardo LP, Duran H, Bayter-Marin JE. Strategies for Reducing Fatal Complications in Liposuction. Plast Reconstr Surg Glob Open. 2017 Oct. 5 (10):e1539. [Medline]. [Full Text]. Ibrahim AE, Dibo SA, Hayek SN, Atiyeh BS. Reverse tissue expansion by liposuction deflation for revision of post-surgical thigh scars. Int Wound J. 2011 Dec. 8(6):622-631. [Medline]. Armijo BS, Campbell CF, Rohrich RJ. Four-step medial thighplasty: refined and reproducible. Plast Reconstr Surg. 2014 Nov. 134 (5):717e-725e. [Medline]. Schwaiger K, Russe E, Heinrich K, et al. Thighplasty: improving aesthetics through revival of the medial, horizontal procedure: A safe and scar-saving option. J Plast Reconstr Aesthet Surg. 2018 Apr. 71 (4):585-9. [Medline]. Albin R, de Campo T. Large-volume liposuction in 181 patients. Aesthetic Plast Surg. 1999 Jan-Feb. 23(1):5-15. [Medline]. Bradbury E. The psychology of aesthetic plastic surgery. Aesthetic Plast Surg. 1994 Summer. 18(3):301-5. [Medline]. Cardenas-Camarena L, Tobar-Losada A, Lacouture AM. Large-volume circumferential liposuction with tumescent technique: a sure and viable procedure. Plast Reconstr Surg. 1999 Nov. 104(6):1887-99. [Medline]. Cárdenas-Camarena L, González LE. Large-volume liposuction and extensive abdominoplasty: a feasible alternative for improving body shape. Plast Reconstr Surg. 1998 Oct. 102(5):1698-707. [Medline]. Daane SP, Rockwell WB. Analysis of methods for reporting severe and mortal lipoplasty complications. Aesthetic Plast Surg. 1999 Sep-Oct. 23(5):303-6. [Medline]. Grazer FM. Associate Clinical Professor, Department of Surgery, University of California, Irvine, College of Medicine, Irvine, California. Atlas of Suction Assisted Lipectomy in Body Contouring. 1992. 1-65. Grazer FM. Atlas of Suction Assisted Lipectomy in Body Contouring. 1992. Grazer FM. Suction-assisted lipectomy, suction lipectomy, lipolysis, and lipexeresis. Plast Reconstr Surg. 1983 Nov. 72(5):620-3. [Medline]. Hunstad, JP. Liposuction For Obesity. Operative Techniques In Plastic & Reconstructive Surgery. 1996. 124. Pitman G. Tumescent liposuction: operative technique. Operative Techniques in Plastic and Reconstructive Surgery. 1996. 3(2):88. Pitman GH. Clinical Associate Professor of Surgery (plastic), Institute of Reconstructive Plastic Surgery, New York University School of Medicine. Liposuction and aesthetic surgery. 1993. 415. Troilius C. Ten year evolution of liposuction. Aesthetic Plast Surg. 1996 May-Jun. 20(3):201-6. [Medline]. Highly emulsified fat with high fat-to-fluid ratio with UAL VASER and standard tumescent SAL. Liposuction, thigh and knee. Infusion solution formulas. Liposuction, thigh and knee. Making incisions for tumescent infusion. Liposuction, thigh and knee. Introducing the cannula. Before and after views of liposuction of thighs. Before and after views of liposuction of thighs as well as hips and abdomen. Before and after views of liposuction of thighs and knees. Before and after liposuction of knees (front view). Before and after liposuction of knees (posterior view).